Your Caribbean real estate agent asked you to describe what’s at the top of your Turks and Caicos dream home wish list. You pause before replying, close your eyes for a moment, and imagine a residence with a million dollar view of Grace Bay Beach. Turks & Caicos Sotheby’s International Realty Sales Executive Lisa Lopes, a 12-year veteran of Turks and Caicos residential and commercial real estate, greets you at the appointed time at what may be your new dream home. 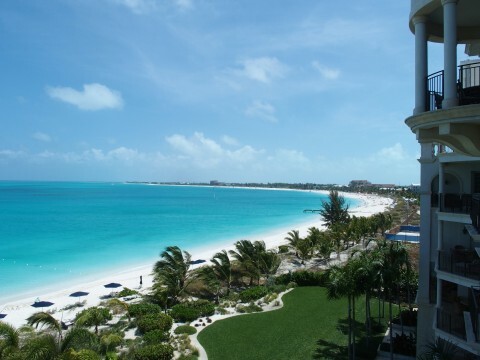 You’re about to view an exclusive property at the Regent Grand, one of Providenciales’ most highly rated luxury resorts. From a first impression standpoint, it’s hard not to be impressed by the Italian marble entrance hosted by a smiling concierge. 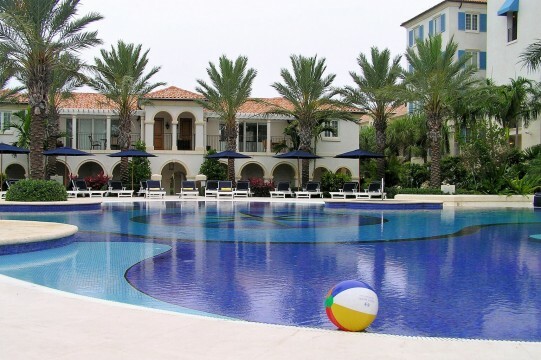 You absorb the Regent Grand’s well thought out island ambiance that includes a spectacular pool embraced by palm trees and an oceanfront residence that is steps from one of the most beautiful beaches in the world. As the elevator climbs to the suite, the anticipation builds. The quiet of your immaculate surroundings feels reassuring. As the door opens to Suite 502, your heart skips a beat as you step into the living area of what could be your new island way of life. What happens next pulls at you like a turquoise vacuum. The panoramic view at the Regent Grand’s Suite 502 is hard to put into words. You can’t help but gasp at the wall-to-wall visual drenched in blue. 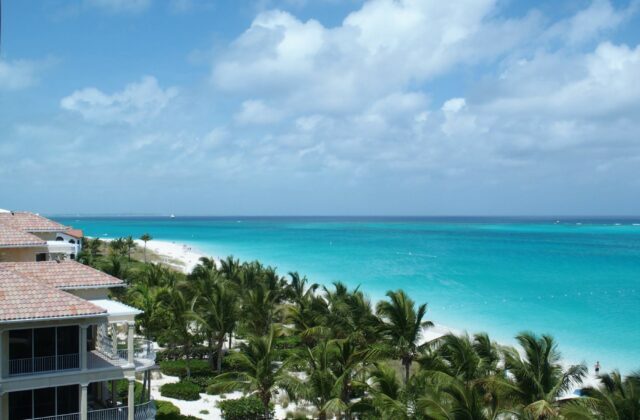 At five stories above the Caribbean Sea, it’s easy to see why, for three years running, TripAdvisor has ranked Grace Bay to be the number one beach in the Caribbean. 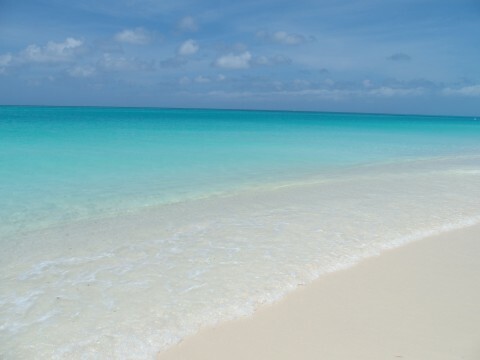 On this day, the Turks and Caicos sun is smiling with such brilliance that you witness a shade of ocean turquoise that is beyond the color chart. Your real estate agent can’t help but grin at your expression. 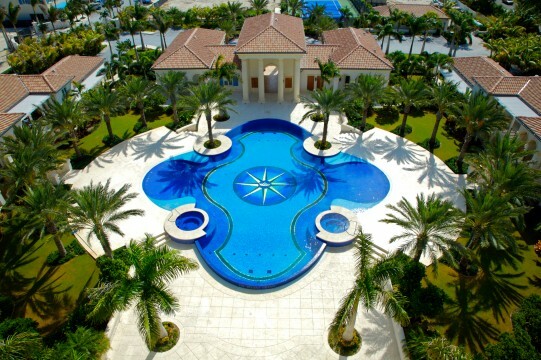 “As you can see, the nice thing about a Grace Bay Beach property is there’s no need for touching up photographs. We’ve found there’s nothing quite like the original for this kind of view,” Lopes said. The open kitchen, dining, and living area floor plans all offer inspiring views. The suite’s outdoor balcony stretches and stretches to where you begin to pinch yourself. It’s hard not to anticipate enjoying morning coffee or an evening cocktail from this vantage point. Your imagination is running wild. 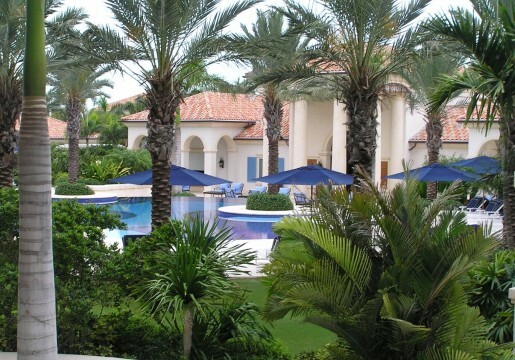 The fact that this suite is fully furnished means your initial move to Turks and Caicos would be hassle-free. The fact that each bedroom has its own ensuite would be great for guests. The fact that the Regent Grand is within walking distance of restaurants, shops, and golf all reinforce that “location, location, location” is a key element in your real estate decision. You’re reminded that Providenciales is just a 90-minute flight from Miami, two hours from Charlotte, and three hours from New York. Lisa Lopes shares that this convenient commute is a definite bonus. Buyers, above all, love the lifestyle that Turks & Caicos offers, so much so that they want to own their own slice of paradise. You’re still a bit giddy after reflecting on the walkthrough. The property met all the bullet points in your investment checklist and it visually exceeded your expectations. The saying about “there is only a certain amount of oceanfront property in the world” bounces around in your head. What about oceanfront on the most beautiful beach in the Caribbean? You’ve worked hard, isn’t it time to make this Turks and Caicos dream home a reality?